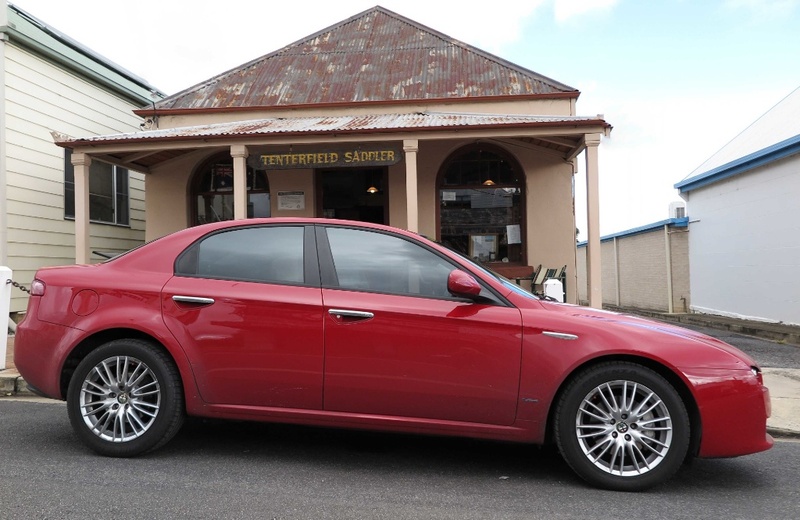 I have been raving about my Alfa Romeo 159 since acquiring it in 2009. 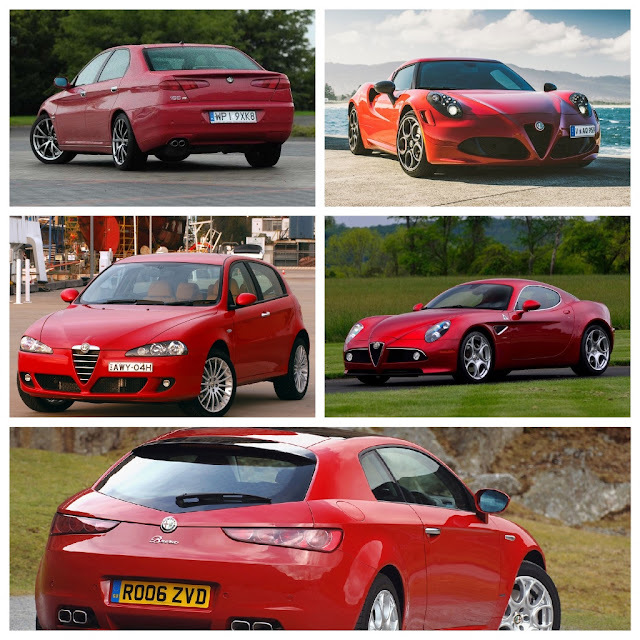 First, because I could achieve a lifelong dream, to OWN an Alfa Romeo, after a long corporate career of assigned company cars and used cars. Second, because I was able to buy the car which suited me (bad left knee, difficulty driving manuals), a 1.9L diesel with Aisin 6-speed auto painted in beautiful Rosso! Okay, so it's not a classic, but that doesn't matter to me. I wanted a contemporary, reliable, medium-sized Alfa Romeo which handled like all Alfa Romeos should - and my 159 fulfils that dream - perfetto! Also, after just over 95,000km it hasn't cost me a cent, apart from regular servicing, fuel and tyres! However, I have decided that since my driving experiences in Alfa Romeos have been quite varied, I would pull together collages of the models I've driven - all of them memorable for one reason or another, to share with you. 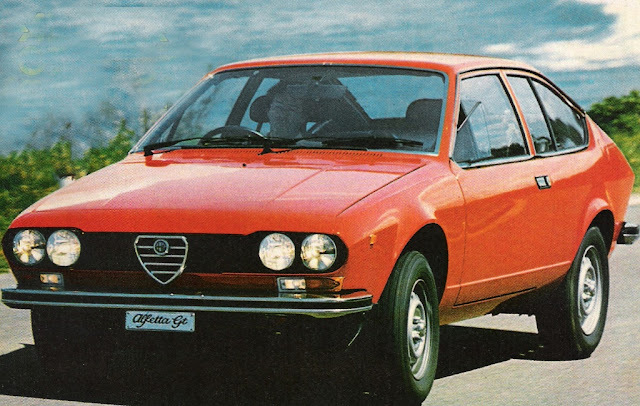 My first international experience happened in 1976, when Autocar Editorial Director (formerly Sports Car World editor), Steve Cropley and I, borrowed an Alfasud Giardinetta from the Alfa Romeo press fleet. We drove from Rome to Ventimiglia to attend the F1 GP in Monaco, and then returned the car to Arese, near Milan - a round trip of almost 1000km. That got the juices going. Also, it was perfect for the trip because we were both lugging around enough baggage for our three week trip to Italy and the UK. 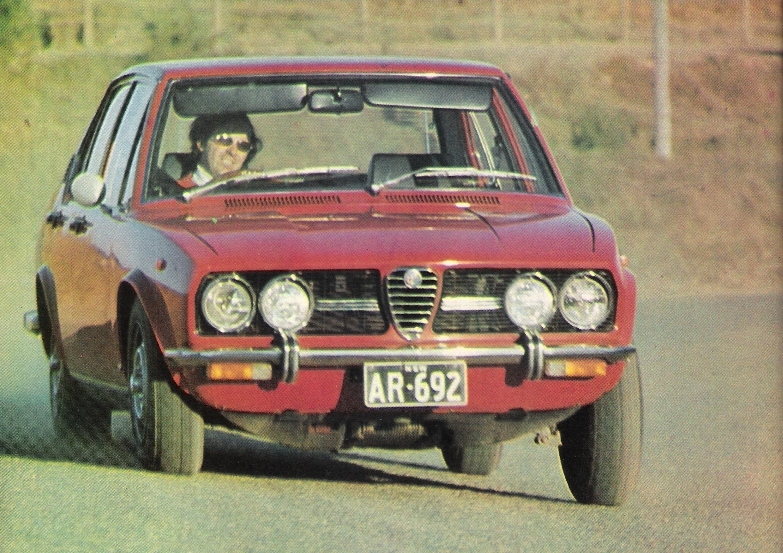 Mind you, it was two years earlier, in Australia, when I enjoyed my introduction to the marque after an extended two week road test of an Alfetta 1.8L sedan that really converted me into a 'pretend' Alfisti. That rear transaxle setup provided great front-to-rear balance, and you could push it into corners with undaunted confidence. When the Alfetta GT coupe model was launched I could not wait to get behind the wheel. Mechanically it was supposed to be the same car as the sedan, but it seemed to be more nimble, and it was better-balanced when cornering at speed. Great fun! 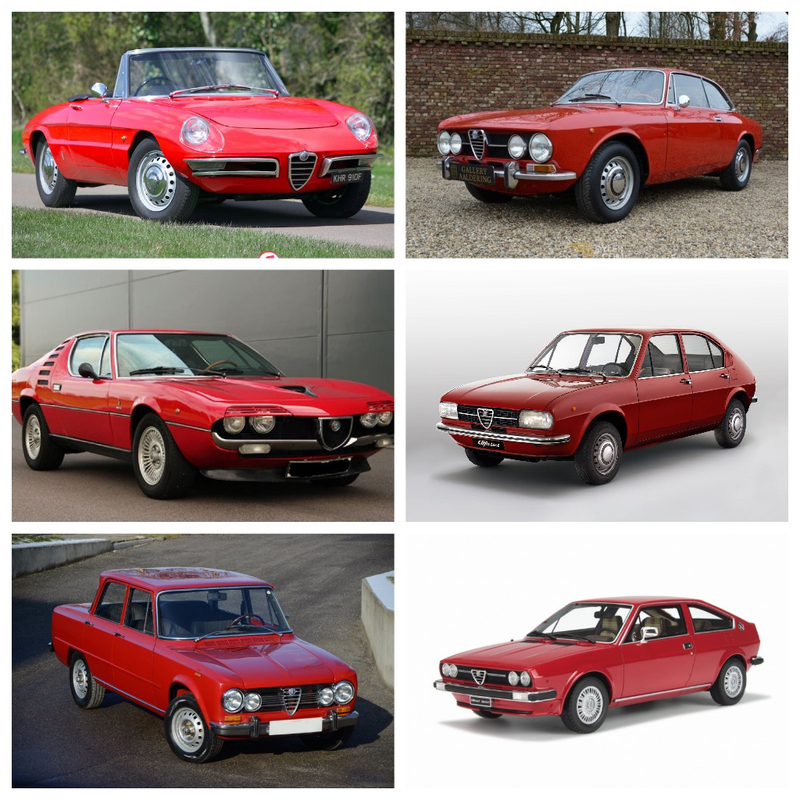 I was Editor of MODERN MOTOR magazine from 1972-1977 and drove a variety of Alfa Romeos in Australia and Italy during those years, some from private owners, and others from the Alfa Romeo press fleet in Milan. Of this collection above, probably the most memorable was the Montreal (left, centre) - what a beast - fabulous! From the group below, I think the 166 (top left) was the only one to disappoint. It had more performance than the 156, but it's handling was too soft, and sloppy. They dropped the ball on that one - but, after all, it was intended for the U.S. market. So, my passion been directed to my 'current squeeze', the 159 for the past nine years. However, my Italian love affair has come to an end, with the departure of my beloved Alfa Romeo 159 to the big wholesaler in the sky. As the car continues to age, parts availability and pricing is a big issue, especially when living on retirement dollars, so whilst the car is in great shape, now is the best time for us to part company. Right now the head rules the heart so I will acquire a new car with a long warranty, regular gasoline, and a solid reputation for reliability and excellent operating economy. JAGUAR XJ-220 - VISION ACHIEVED?